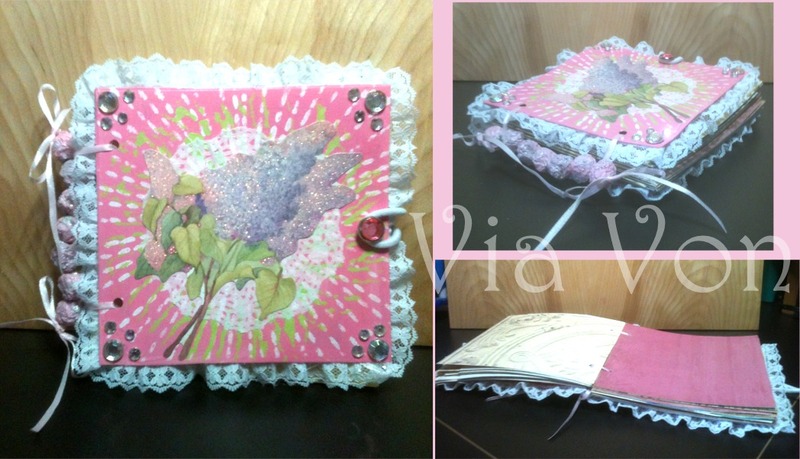 Yesterday, I shared a Feminine Journal I had made from Atkin Bar's box sides, paint, paper lace, ribbons and pearls. Today, I'd like to share another journal I made at the same time. Thank you Krys! ((hugs)) The front lilac has glitter so its really sparkly, while the matching diecut on the back is plain.